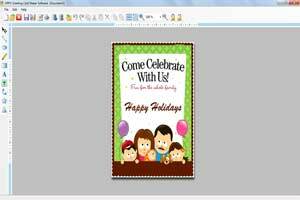 Simple and easy to use Greeting card maker software is perfectly useful to create different type of great looking and attractive greeting cards in minimal time and efforts. Now you have the best opportunity to successfully deliver high quality, colorful and printable greeting cards in simplified and easiest manner without any expert help required. Design standard size or custom greeting cards in simplest way. Provides advance card designing tools for great looking greeting card designing process. 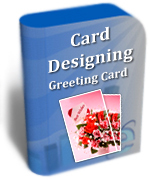 Option to print designed greeting card using advanced greeting card print settings. Design greeting card in different shape and size. 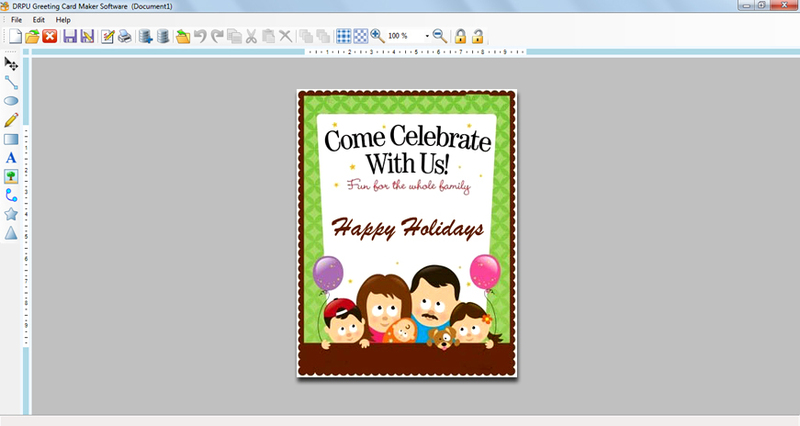 Include message and image available with software during greeting card designing process.